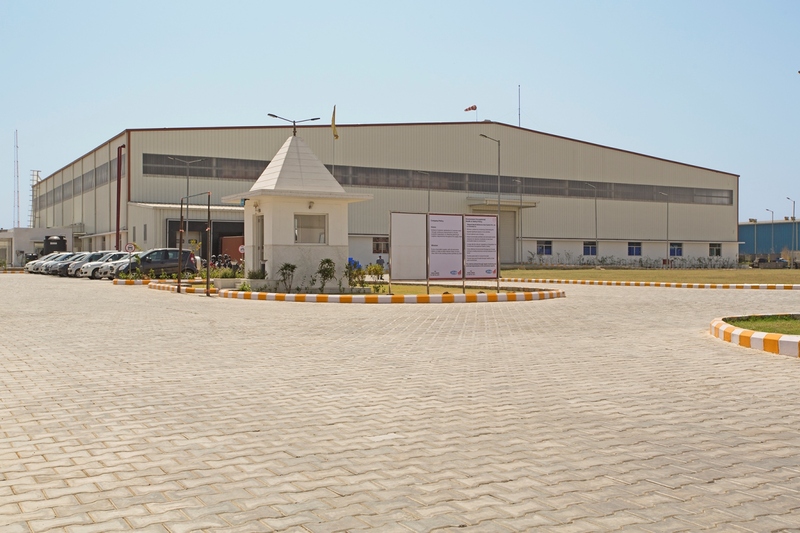 Home › Press Room › News › 28th March 2017, Magneti Marelli Motherson inaugurates it new plant at Bawal, Haryana. Mr. Pietro Gorlier, CEO of Magneti Marelli stated: “I’m glad to celebrate this further achievement in the Indian market. We aim to deliver products specifically tailored for this big market and I would say that with Samvardhana Motherson we found the ideal partner to actualize our strategy and develop the business”. Mr. Vishal Kabadi, COO of MMM, thanked the shareholders for their unstinted support and expressed confidence that this new investment would further ramp up the growth plans of MMM and take it towards its stated path of providing value added technological products to its customer. He also thanked all customers and employees of MMM for their unwavering support in the growth of MMM. Samvardhana Motherson Group (SMG) is one of the most diversified auto ancillary groups with a presence in 26 countries across the world and a turnover of USD 7.2 Billion. The Group’s automotive product portfolio comprises electrical distribution systems (wiring harnesses), automotive rearview mirrors, molded plastic parts and assemblies, injection molding tools, molded and extruded rubber components, modules and systems including cockpits /IPs, door trims, bumpers, lighting systems, air intake manifolds, pedal assemblies, HVAC systems, vehicle air conditioning systems, roof hatches, cabins for off-highway vehicles, machined metal products, cutting tools, thin film coating metals, IT services, design engineering and CAE services. The Group has also invested in technologies that provide manufacturing support, including compressors, paint coating equipment, auxiliary equipment for injection molding machines and automotive manufacturing engineering services. The group has 24 collaborators for different products with over 200 facilities supported by design centres and support offices. SMG employs over 84,000 personnel across the globe. Magneti Marelli Motherson Auto System Private Limited (MMM) is a joint venture between Samvardhana Motherson Group, India and Magneti Marelli, Italy. The company manufactures automotive lighting products, integrated plastic air intake manifold assemblies and pedal box modules. MMM has in-house design capability for its products along with the manufacturing capabilities including plastic injection moulding, surface coating, metalising, welding, testing & assembly and in house photometry lab etc. The company has 4K injection moulding facility for rear lamp lenses which is unique in India.